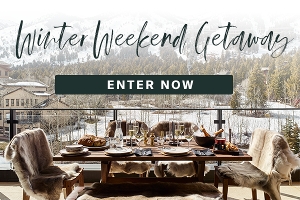 Prize: 2-night stay in a two-bedroom suite at the beautiful 5-star Caldera House located in Jackson Hole, Wyoming; Daily breakfast; Round-trip airport transfers; Complimentary mini bar snacks and non-alcoholic beverages; A dedicated concierge & valet. no air. Statistics: This contest was opened by 118 and entered by 9 ContestChest.com members. 8% of those who opened the contest, entered it.